My first ever Lipstick and Polish were from Lakme, both true red and I was only ten. Lakme was my favourite brand while I was in school mostly because of easy availability and perhaps, naiveness? Then there was Elle 18, Revlon, Tips and Toes. Revlon had quite a cult following, I remember the round black packaging with gold ring around that did look as good as an Estee Lauder lipstick! When I started discovering new brands, I never looked back. Lakme Lip and Cheek tint from their 2012 limited edition bridal collection was my last product ever, I'll hold on to it ever. And now they've launched their Lakme 9 to 5 Weightless Mousse Lip & Cheek Color and honestly they look irresistible. The products are affordable and tailor-made for brown/olive skin tones. But a question always echoed in my head: Is Lakme Cruelty-free? or even Vegan? Any products! And I was never answered upon asking. Infinite unanswered emails later, I decided to dig deep since the search queries have overwrought my blog search. So I finally sat down to research the brand's stance on animal testing. So my conclusion: Lakme conducts animal testing either on the finished products or on the raw materials. Never have I heard Lakme promoting their products as cruelty-free or being against animal testing. Hindustan Unilever is the parent company, one of the miscreants (if I could put across ever so politely) of the animal-testings. Lakme is an Indian brand and is largely exported to Malaysia apart from Nepal and UAE, Though I could not trace China. I have already filtered the brand from my essentials or lust list, no matter how alluring the new launches seem to me. I'm happy to have found your blog post when I search for Lakme's cruelty free policy. I recently got to speak with people in the Marketing department of the company and they assured me that LAKME is cruelty free. I have also noticed that LAKME never promotes it's products as cruelty free or vegan/vegetarian. Is it because of the lack of demand/ignorance for/about cruelty free products in India? I'd love to hear your thoughts on this! Thank you so much for letting me know about your conversation with Lakme's Marketing Department. And I am pleased that cruelty-free products hold your attention. As for the cruelty-free stance, I have acknowledged diverse aspects before reaching the conclusion. Lakme never promotes or have promoted them as cruelty-free perhaps because of some other reason. The cruelty-free awareness among bloggers was invariable, though now it has been persistent among few. And these details are quite confidential and are often confined to the laboratory. As for as the marketing goes, anybody will sell what can be sold; I cannot see it beyond a marketing ploy. If Lakme is cruelty-free, I am certain of that it would be one of their USP than merely being a marketing ploy. And if this does not correspond with your query, you can drop them a query as a blogger for an official statement stating the same. I am unable to figure this. Cosmetics tested on animals and the import of cosmetics tested on animals is banned. Rules 148-C and 135-B of Drugs & Cosmetics Rules, 1945. So ideally all the Indian brands should clearly state this. Like Himalaya, Lotus, Blossom Kochar etc. That Lakme does not put the label on their products makes it suspicious yet they would be breaking the rules. That is quite a shady zone right there, but even if the finished products are not tested on animals. The ingredients are tested on animals which doesn't really change the equation you see? And coming to rules, I am not sure how strict they're with baits and all sort of things under the table. And mostly the animal testing is carried out in confined labs with access to selected employees. I hope that clarifies your doubt. I share you sentiments. Even my search about Lakme's cruelty free policies ended in zilch. So, maybe, they are not, since silence too is an answer :). A pity, since most of their color cosmetics are tailor made for indian skin. But since anything that comes out of torture doesn't make me feel beautiful, I have totally given up on them. Apart from the eyeshadow area, I personally find Lotus Herbals products great. Thank you Ipsita! I agree, Lakme makes best brown lip colours for Indian skin tone. I started my makeup journey at the age of 10 with Lakme. Even though it is a great affordable brand, I cannot in right-mindedness purchase their products unless they are certified Cruelty-free! I have spoke to the team of lakme and i spoke to unilever team as well i got to know from there side that lakme is cuelty free... infact i got a mail from unilever stating that all the products under unilever are not tested on animals. Even elle18 is cuelty free as per the mail i received from unilever. I am the co-founder of The Alternative Curator (http://alternativecurator.com), a blog that focuses on bringing all the wonderful, cruelty-brands in India to the forefront. We reached out to Lakme as well, and we got the following response. "We would like to inform you that Lakme final products, raw materials are not tested on animals at any stage, anywhere in the world. Our suppliers and vendors do not test Lakme products on animals anywhere in the world. We follow guidelines provided by BIS (Bureau of Indian Standards) to ensure that our products are not tested on animals. We would like to inform you that any ingredients derived from animals, are not added directly into our products. Our products may contain animal derived ingredients from normal sustainable animal husbandry or farming or fishery practices such as milk, honey, silk etc. The raw material is sourced from plant origin. Also no third party in the world conduct product tests on animals on our behalf. Lakme is not sold in China as it is purely an Indian Brand. 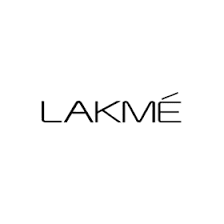 Lakme products are not manufactured in China. Lakme product testing policies includes the testing on humans and not on animals. We do not test Lakme products on animals. We do carry cruelty free certifications for Lakme brand." We did probe to find our what certifications are carried by Lakme, but are yet to receive a response. - Do they test their final products on animals? - Do they test their products at any stage, on animals? - Do they test their ingredients/raw materials, on animals? - Do their suppliers/vendors conduct animal testing for ANY purpose (this includes cosmetic and non-cosmetic testing)? - Do any third-parties/affiliates/agencies conduct animal testing on the brand's behalf? - Are the brands sold in countries that mandate animal testing (eg: China)? - Are the brands owned by a parent that is a pharma/drug company? We ask a separate set of questions for the ingredients in the products. Of course, Lakme is owned by Unilever, but we've included them in our cruelty-free list (http://alternativecurator.com/cruelty-free-brand-list-India/) because we were convinced that they passed our cruelty-free criteria, as did brands such as Tarte (owned by Kose), and NYX (owned by L'Oreal). Thank you so much for the update. As per their reply, it seems they carry cruelty-free certification for the brand but then why there is no mention? And the other apprehension would be, Lakme is not certified by PETA, Leaping Bunny or Choosecrueltyfree. Is the certification even relevant? I did my research and Lakme does not sell in China, it does export in other Asian countries. I hope the response will clarify everything. I'm looking forward to it. I'm with you on this, Pranali! Their unwillingness to not share their certifications does ring alarm bells. I have sent them another email requesting that they share their certification(s). In the meantime, I guess I'll choose to believe they are cruelty-free, only because I feel they have provided satisfactory responses to our questions, and they are liable to face legal action if they make false statements. Also, in the spirit of being cruelty-free advocates, could you tell me what to what other Asian countries Lakme exports, except for Sri Lanka? It would really aid in further research. Additionally, I had a few friends in Shanghai scout for Lakme products there, because I never take brand statements at face value. Even with alcohol or food being imported here the packaging is different. I jus checked online in their famous app or wtv called taobao and they have a few.. I'll send u the pics.. packaging is definitely different….. There are lakme products in China but no Lakme-Unilever. But they are all manufactured in Spain. Under the name - lakme cosmetics SL." A lot of ambiguity, yes. I'm not a huge fan of Lakme's products, but it would be amazing if it were cruelty-free because it has a pretty huge market share in our country. Would you be willing to take this further with me? I'd love it if we could get cracking on this together. I'm available at niviya@alternativecurator.com. Sorry for the typo - I clearly got carried away! So final conclusion is Lakme products are vegetarian? Hi i just read all comments ...so any updates on whether lakme is cruelty free or not for sure? Wow what a hard working folks. I appreciate the sincerity of each one of you. I would like to discuss about cruelty free and Veganism. Now most of the brand's take this term "Cruelty free" for granted. I believe real cruelty free product would mean no bi products or which harms animals in order to sustain. Why is this cruelty free status and Veganism took different paths in these recent years? If it is not okay to test on animals, is it really okay to have an animal derived ingredient on our products but not tested on animals? Why does this word "cruelty free" sounds different for many of us? While for me real cruelty free means a lot different than the marketed one. Doesn't it mean No animal harm in any ways? It's just my opinion. What's your thoughts on this? Can anyone figure out Lakme's true ingredients list and figure out whether its cruelty free or not or in other words vegan or not? I confirmed today Lakme use Animal bi Products in their ingredients. Hence can't be considered cruelty free. If Lakme is so sure about being cruelty free then why don't they clearly specify it in their products and why don't they list out the ingredients on them? Have you any idea what kind of animal products are used in cosmetics by Lakme? For instance, is tallow used in their makeup?